genII 6UL - Taking orders now - Miata Turbo Forum - Boost cars, acquire cats. 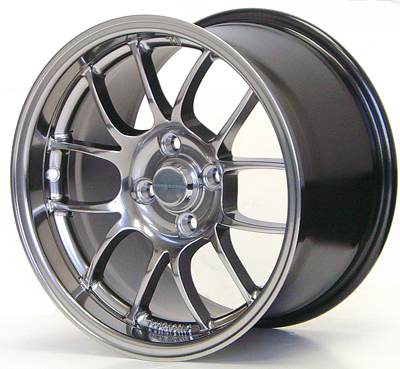 Now taking orders for the second generation 6UL 15x8 and 15x9 wheels arriving May 2009. No precise date, just early May sometime. 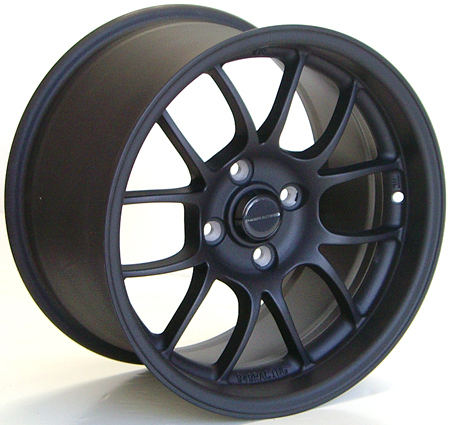 15x7 & 15x7.5 6ULR still in development-No firm ETA yet-Not taking orders. We have made some changes to the 6UL wheel to make it stronger, lighter and even better for track use. Improved casting process, deeper heat treating, next generation Finite Element Analysis refinement, new "949RACING" and "6UL" embossed logo to replace the older plain "949RACING" plain text emboss. The new wheel is also bored to allow the use of standard 67.1mm hub centering rings. Not needed to locate concentrically but we know some of you like to use them to make wheel installation a bit easier. All caps are now black, with a smaller cone shape. I'll post caps pics when I have them. does it charge your card the day of pre-order or when they come in? Card charged when you place the order. You can cancel at anytime before ship for a full refund. Did you forget to post the picture or am I missing it? hah I would totally get some bronze 9s to replace my nickel 8s so i could put those on the civic that just had its wheels stolen... BUT... not with a 500 dollar deductible and I'm not sure that civic is worthy. Tires are easy to get. well if I was getting 15x9's wouldn't I'd rather run something wider than 225's? 225 nt-01s are wider then 225. The fit perfectly on 9's and they're faster due to improved contact patch. Note the new low profile cap. Default cap will be black, not chrome. Emblem will be carbon fiber with silver "949RACING" logo. Font for 949RACING & 6UL will be as on website, not the plain font on the sample. Looks like the weight will drop more than I expected, probably 13.0 lbs for the 15x9. You may notice there is a slightly larger radius to the edge of the spokes. That's a tiny tweak to increase fatigue life. Doesn't show on the nickel but you can just detect it on the black. The nickel is a slightly more neutral tint, blends with the old nickel perfect but a touch cleaner looking. More pics next week. These samples will be with me at MRLS. I have old school nickel, bronze, and non-stick black...lol. The bronze are going to look insane on my pearl brg. 15x9 195/50 - 205/50 - 215/45 not recommended. 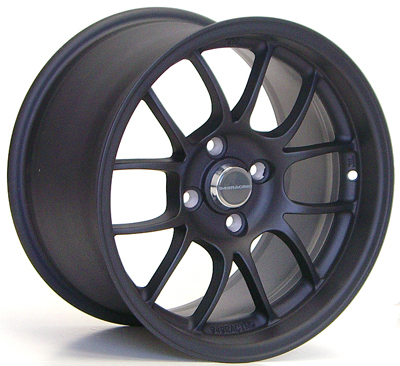 225/45 - 245/40 fits NB with no mods needed, fits NA with slightly rolled fenders. 225/50 require rolling and pulling fenders, removing liners on NA, NB only requires slight roll. 235/50 Toyo R888 requires rolling and ppulling on NA, roll only on NB. 275/35 require rolling and pulling, removing liners on NA, roll only on NB. 20-30mm spacer recommended to fill aftermarket flares. Will not clear stock front spring perches. 2.75" (70mm) Tein, JIC coilovers rub the tire at full lock. 2.5" (65mm) GC's and similar rub less at full lock. 2.25" (58mm) have almost no rubbing. May not clear front upper control arm, double check and use 3mm spacer if you get wheel to control arm contact at full lock/ full droop. Is the bold above on the 275/35/15 only? I'm confused as it says to use a spacer if you get "wheel to control arm contact" which makes it seem like the 15x9 issue, not a tire issue whereas the fitment guide says with the smaller tires (225/45 and 245/40) it says that it fits NB's with no mods needed. I'm thinking of going with the FM Illuminas/FM springs package as I can't see dropping the coin for the teins, which still appear to rub with the 275's, which was my only other option. So, I guess the question is, can I run the 15x9's on an NB with 225/45 A6's without any rolling, in the stock diameter FM springs with illuminas. That's what I want to do if the 275's can't be done without doing shocks/springs. 1. So, I guess the question is, can I run the 15x9's on an NB with 225/45 A6's without any rolling, in the stock diameter FM springs with illuminas. That's what I want to do if the 275's can't be done without doing shocks/springs. The wheels themselves sometimes contact the control arm at full lock. Every car is different. You can't really run 15x9's with OEM diameter springs. Now I'm really confused. First reply is "yes" then you go on to say "You can't really run 15x9's with OEM diameter springs." Which is correct? Any issues at all with the 15x8's? If I'm going to run the 225/45 A6's, is that enough wheel?